Gosnell: The Trial of America's Biggest Serial Killer opened last weekend, taking in more than $1 million at the box office, despite what the filmmakers have referred to as a "media blackout" of the film. Directed by actor Nick Searcy (The Shape of Water), the film is a fictionalized account of the crimes and trial of infamous Philadelphia abortionist Kermit Gosnell, 77, who was convicted of first-degree murder in 2013 in connection with the killings of three babies during illegal late-term abortions at his West Philadelphia clinic. Prosecutors famously dubbed the clinic a "house of horrors." Gosnell was also found guilty of manslaughter in the death of Karnamaya Mongar, a 41-year-old patient who died of a sedative overdose during a 2009 procedure at Gosnell's clinic. He was sentenced to three life terms, which he's serving at State Correctional Institution Huntingdon in central Pennsylvania. 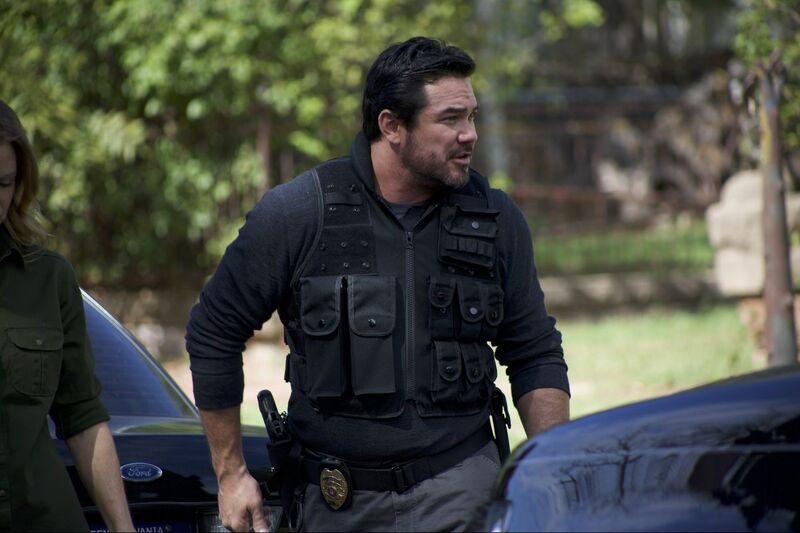 The movie stars Dean Cain (Lois & Clark: The New Adventures of Superman) as real-life Philadelphia Detective Jim Wood, who works with Sarah Jane Morris' fictional Assistant District Attorney Alexis McGuire to bring Gosnell (American Splendor's Earl Billings) to trial. The film was funded with a $2.1 million IndieGogo campaign, and is based in part on Philadelphia Magazine contributor Steve Volk's Kindle single Gosnell's Babies: Inside the Mind of America's Most Notorious Abortion Doctor. Volk said he had not yet seen the movie. Gosnell comes from conservative documentarians Phelum McAleer and Ann McElhinney, who made the pro-fracking doc FrackNation in 2013 and the climate-change-denying Not Evil Just Wrong in 2009. They also wrote a book about the trial, Gosnell: The Untold Story of America's Most Prolific Serial Killer, which Judge Jeffrey Minehart sued them over in a defamation suit last year. A decidedly anti-abortion take on the case, the film focuses on Gosnell's crimes, as well as on the government officials who allowed him to prosper for fear of taking on the abortion issue. Judge Eleanor Stanley, played by Eleanor T. Threatt, for example, tells investigators the prosecution will not present the case as an abortion issue as a way to avoid the hot-button topic. That kind of trepidation around the issue, Gosnell posits, led directly to the doctor's crimes. The film also suggests there was little media interest in the case. One scene shows a row of court seats that had been reserved for the media but that is completely empty — a real-life incident tweeted about by Bucks County Courier Times columnist JD Mullane, portrayed in the film as Mollie Mullaney (Community's Cyrina Fiallo), a Gen-Z blogger who tweets a photo of the empty seats, causing a spate of media coverage. In a recent op-ed for the Courier Times, Mullane wrote that his tweet "exposed [the media] as derelict." Gosnell sued the Philadelphia Daily News in 2016, alleging that published comments from then-District Attorney Seth Williams "compromised [Gosnell's] rights as a defendant for due process of law and a fair trial." The trial was covered by the Inquirer and Daily News, the New York Times and Washington Post, as well as CNN and Fox News. After its release on Friday, the film took in $1.2 million across about 700 screens, according to BoxOfficeMojo. That puts it in around 12th place for the weekend, just behind larger studio releases like The Nun and A Simple Favor, which pulled in about $1.3 million over the weekend; they were released last month. Gosnell had received a total of six reviews, according to Rotten Tomatoes. Two were from mainstream publications — Forbes and the Los Angeles Times. Forbes reviewer Luke Y. Thompson referred to the film as "Christian and conservative"; the L.A. Times' Michael Rechtshaffen called it "sanctimonious" and "sensationalistic." In Christian and conservative publications, however, Gosnell has received praise. World magazine called it "tremendous." Conservative blog HotAir wrote that it was an "effective procedural" take on the trial. In a release, McAleer and McElhinney said the low number of reviews — nine times fewer than the newly released Goosebumps 2: Haunted Halloween — was a result of a "media blackout." "Nearly every mainstream and film publication [is] refusing to review" Gosnell, they wrote. There were no screenings for the media in the Philadelphia area. Locally, Gosnell is playing at a number of AMC and Regal theaters in Cherry Hill and Voorhees, as well as in Media, Plymouth Meeting, and Warrington. In Philadelphia, one theater, the AMC Franklin Mills Mall 14, is screening it.